Perhaps one of the best known of the English monarchs, Queen Victoria forever shaped a chapter of English history, bequeathing her name to the Victorian age. In Queen Victoria, Lucy Worsley introduces this iconic woman in a new light. 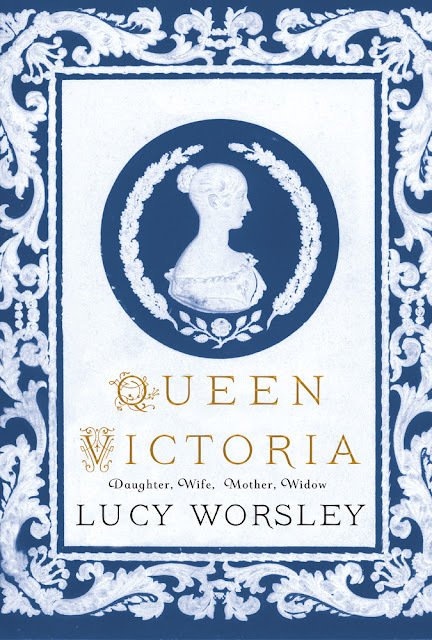 Going beyond an exploration of the Queen merely as a monarch, Worsley considers Victoria as a woman leading a truly extraordinary life in a unique time period. The book is structured around the various roles that Victoria inhabited— a daughter raised to wield power, a loving but tempestuous wife, a controlling mother, and a cunning widow—all while wearing the royal crown. Far from a proto-feminist, Queen Victoria was socially conservative and never supported women’s rights. And yet, Victoria thwarted the strict rules of womanhood that defined the era to which she gave her name. She was passionate, selfish, and moody, boldly defying the will of politicians who sought to control her and emotionally controlling her family for decades. How did the woman who defined Victorian womanhood also manage to defy its conventions? Drawing from the vast collection of Victoria’s correspondence and the rich documentation of her life, Worsley recreates twenty-four of the most important days in Victoria's life including her parents' wedding day, the day she met Albert, her own wedding day, the birth of her first child, a Windsor Christmas, the death of Prince Albert, and many more. Each day gives a glimpse into the identity of this powerful, difficult queen as a wife and widow, mother and matriarch, and above all, a woman of her time.